Sky Super 6 Predictions - £1million Jackpot! Sky Super 6 Predictions – £1million Jackpot! 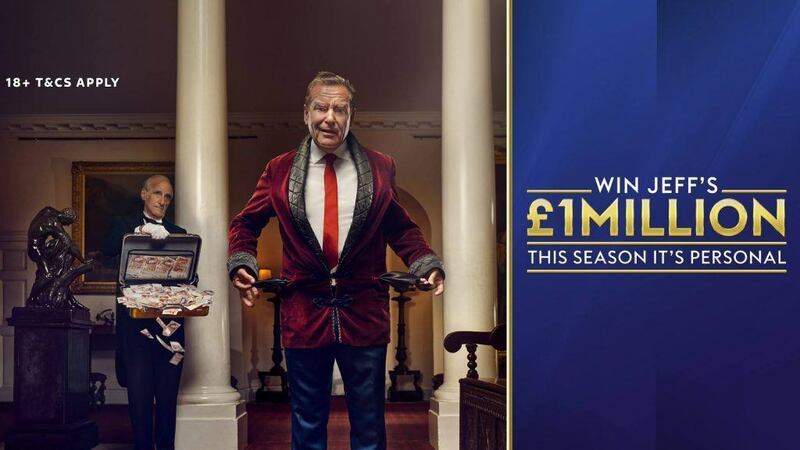 Football is back, and Sky’s Super 6 is celebrating with a huge £1million jackpot! It’s free to play, and if you correctly predict the score for six of this weekend’s Championship matches, and you can pinch a million from Jeff Stelling. You can see the six chosen matches below, along with our tips and suggestions in the correct result market from each match, which come from our Championship previews. Both of these sides are being tipped for unspectacular, bottom half finishes this season. Neither have done much to catch the eye this summer, with Birmingham’s transfer embargo limiting their activity. They’ve each had mixed preseason campaigns too, so there’s not a lot to shout about for either ahead of their opener. Garry Monk’s side should be confident of a result at home, having finished last season well. However, their squad could be a little stale after failing to add any new blood. The Canaries come here having failed to win in their final eight away league games in 2017/18. They meet a Birmingham side who are unbeaten in seven at home, so we feel like the away win is unlikely. With the visitors looking a little short ahead of this one, we like the look of the draw. Given that Birmingham finished the season seeing both teams score in five of their last six, a 1-1 is our go to for this clash. While Bristol City had a much more impressive campaign than Nottingham Forest last time out, the visitors head here on the back of an excellent transfer window. They’ve made a string of strong signings, from talented potential stars to Championship veterans. With Aitor Karanka on board, Forest should look strong this season, and we expect them to make a strong start this weekend. The hosts have lost a couple of key players this summer in Bobby Reid and Aden Flint, while Famara Diedhiou is suspended for this weekend’s opener. That makes this a tough start for the Robins, while Forest have been in excellent preseason form. The hosts had an awful finish to the season, and they have carried that in to their summer games, so we’re backing a win for the visitors at Ashton Gate. This ground saw 69 goals in 23 matches last term, the second highest in the league. With that in mind, we’re going with a 2-1 away win in our Super 6 pick. Millwall kick off their season after a strong run to eighth in the Championship last term. They came close to a play-off spot, but they just fell short after promotion from League One. They kick off the new season against beaten play-off semi-finalists Middlesbrough, who have strengthened their defence as they push for promotion yet again. This is going to be a tricky clash for both teams, who each have managers who are great at organising their defence. The pair are likely to see a close game, and we can’t see any more than two goals being scored in this one. Middlesbrough are set to miss Adama Traore, while Millwall have barely strengthened their side this summer, failing to sign the number 9 they desperately need. Given that only one of the top seven won at the Den last term, we’re backing these two to start off with a 1-1 draw. QPR have been weakened over the summer, and the appointment of Steve McClaren has done little to brighten the mood there. The Rs take on a Preston side who were inspired to seventh by Alex Neil last season, and the hosts are going to be out to start with a win as they eye up another promotion push. With QPR conceding in 96% of last season’s trips, and losing 61%, we see them slipping up here. Preston have won four straight meetings with QPR, while the visitors failed to score in 43% of their away trips last term. We expect them to lose narrowly here, with Preston securing a win by a single goal in 77% of their home wins in the 2017/18 campaign. Both of these sides fought against relegation last season, but only Bolton were successful. They just survived in their first season back in the Championship, but not a lot is expected of them this time around. They struggled financially early in the campaign, and since getting back on track they’ve made an odd bunch of signings. They’ve got players through the door, but those signings make them look like a team preparing for League One next season, rather than a survival push this season. West Brom are quietly going about their business after relegation, and they’re expected to see a few more new faces and departures over the coming days. They’ll be aiming to stabilise under Darren Moore, having not quite done enough in the window to make themselves clear challengers for an automatic promotion spot. The Baggies are well stocked in defence, having added proven Championship talent like Sam Johnstone and Kyle Bartley. We expect them to keep out a lightweight Bolton attack, so a 2-0 home win is our pick here. Wigan are back in the Championship, and they must be boosted by the standard set by Sheffield United and Millwall last season. Play-off pushes from those two hint at a strong campaign for a Wigan side who racked up 98 points in the third tier last season. They will be hoping to start their season with a home win, while we expect them to maintain their defensive standards set last season. They kept a clean sheet in 59% of their games, and they’ll be out to repeat that against the Owls. Sheffield Wednesday have had a poor transfer window, and we can’t see them holding their own against a Wigan side who have momentum. We don’t expect great quality on show here, but we’re backing the Latics to edge this game. A 1-0 win for the newly promoted hosts is our tip, to wrap up this weekend’s Super 6 predictions. Categories: Blog, Football, and Sky Super 6. Tags: championship, Championship tips, English Championship, sky super 6, super 6, and super 6 predictions. League: England Championship. Sports: Football.